We all know that women are masters at almost anything they put their minds to. We have outshined men in professions that have been very male-oriented for years. Women now outnumber men in careers such as banking, and they are beginning a climb in other professions, too, closing the gap on the mostly male medical, computer and engineering fields. It’s no wonder then that women are also taking an interest in the family finances at a much higher rate than ever before. In fact, 75% of family finances are controlled by women, and women influence 53% of family investment choices. This is all great, but what does it mean for us? Well, we know that women can do anything, including control or assist in the family finances. But I think it goes farther than that: We need to showcase our talents in the family finances at a greater rate, and we need to take on more responsibility in planning our retirement funds and other investments. Really, why should the men have all the money fun? Women still earn 26% less than men in equal jobs. 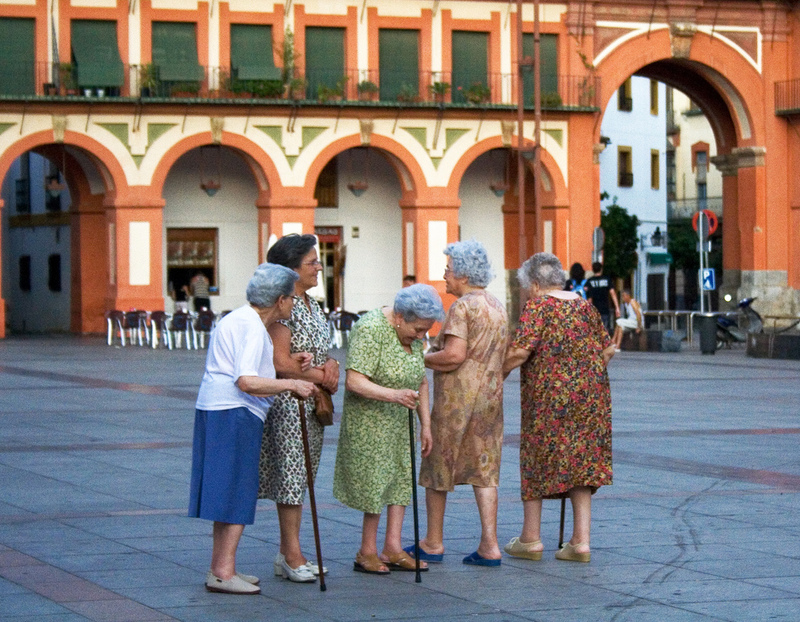 Women live five to six years longer than their husbands. 70% of the elderly poor are women. 80% of women living in poverty were not poor before their husbands died. These are just a few of the many scary statistics available about women and finances, but rather than be daunted by the future, we should embrace our own strengths and talents. Through careful planning and investing, we can plan for better futures and more comfortable retirements. 401(k)s and IRAs and Stocks, Oh My! Doesn’t quite have the same ring as “Lions and tigers and bears,” huh? Well, sometimes finances can seem just as scary as the worst evils in Oz, even more terrifying than the flying monkeys. But if we remember to focus on what we can do, one step at a time, we can make it back to Kansas. All analogies aside, one of the most important things we as women can do for our financial futures is learn. We need to learn about 401(k)s, IRAs, stocks, and bonds. We need to figure out how these tools can take us through life in the most comfortable way financially possible. We need to ensure that we don’t become one of the elderly poor or become strains on our children’s finances. We need to live for our best life possible, finishing out our lives stronger than we started, complete in the financial security that we grew from the seeds of knowledge. How are you ensuring your place in investments and your best retirement possible? I need to read about this less and take action more. I know the sooner I take action, the easier it will be to save. I do know one thing: when I'm out of school and back in the work force, I look forward to the money I put aside NOT being taxed! I think learning and taking control of your future is great advice, for men and women! Just run the numbers to see where the weak points are. If your spouse died then what would life be like? If you lived until 100 what would life be like? If the market went down 40% then what would life be like? If you find that some of those eventualities are not good scenarios then make a plan to strengthen that piece. If it's a spouse's early death that causes problems then it's probably as simple as taking out life insurance. Women need to find ways to find more income. I saved up and when my DH and I moved (was just DF then) I had enough money for a down payment for a duplex. That duplex now earns enough to pay the mortgage, property taxes and insurance for the house. All my DH and I do is pay for utilities and repairs. By the time we move we will have made back the down payment. I am now looking at buy another. Make sure your keep your credit score up and get a good reward credit card and pay it off ever month. Women should be saving 15% from 25-65, instead of 10% for men. I am a bit behind, I am only saving 12.5% and I am 26 but that will change. Any increase of income also increases our retirement savings. Make sure you know where the money is going and how you can save and make more. Femme Frugality, retirement savings is important, and you're right: the sooner you do it the easier it seems. Good luck! Alex, very true! This applies to both men and women. Finding that balance to make sure both of you are covered in retirement is an awesome joint effort that really can show your spouse how much you care. Frugal Student, great tips! An investment home can be a fantastic way to make a little monetary investment go a long way, and I agree that saving 15% as women could be ideal.